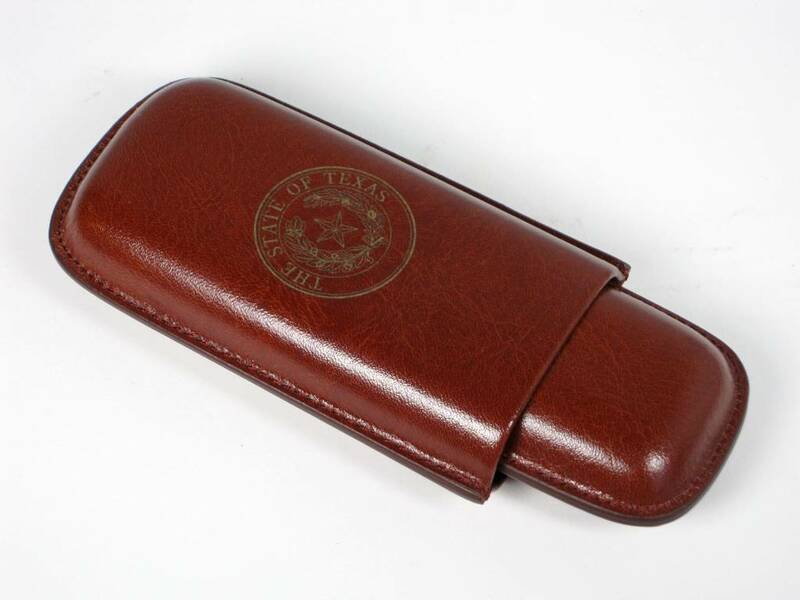 Three cigar case, cognac leather embossed with the Texas State Seal. 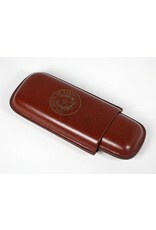 6.00"H x 2.50"W x1.00"D. May be personalized. For more details, please call 512-476-1181.